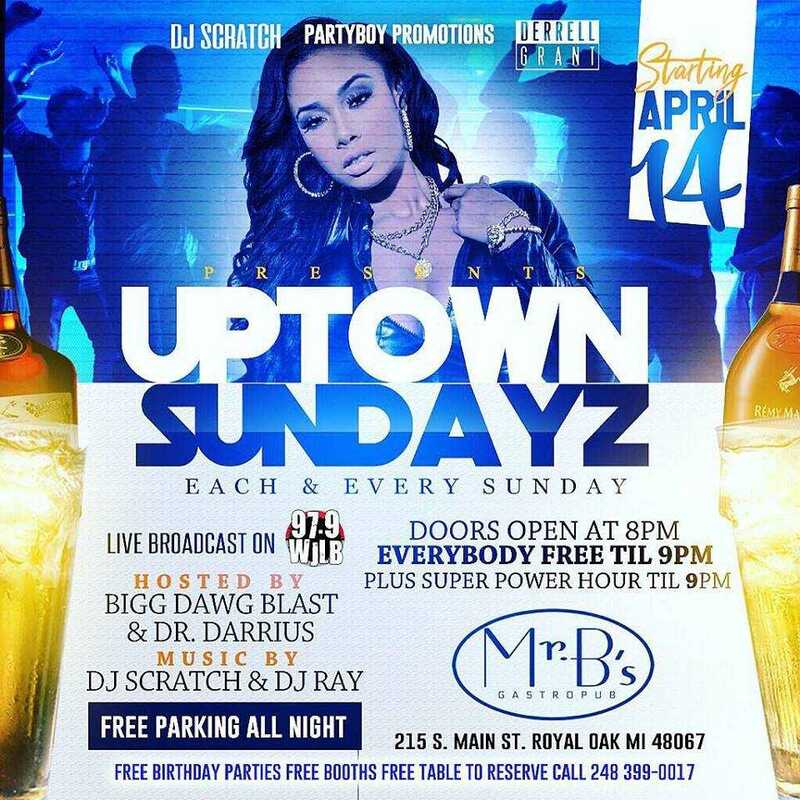 Every night is a party at Mr. B’s! 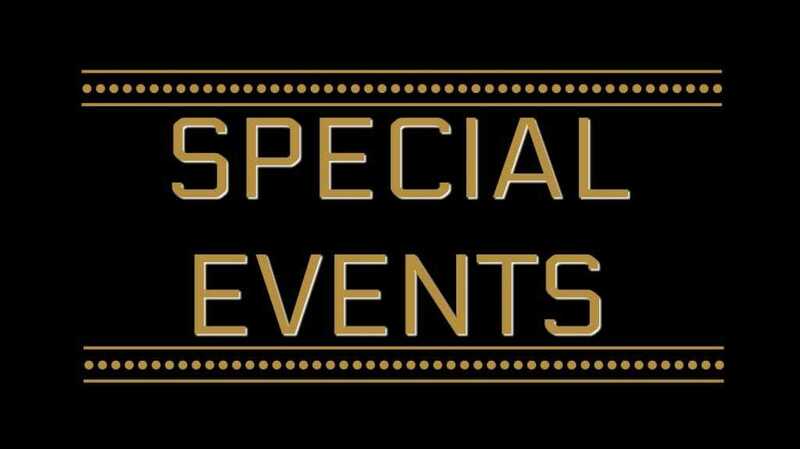 Whether it’s a weekday and you’re looking for relief after work, or you want a place to hangout on the weekends and keep the good times rolling, we have something for everyone! Come join us for Board Game Sundays. 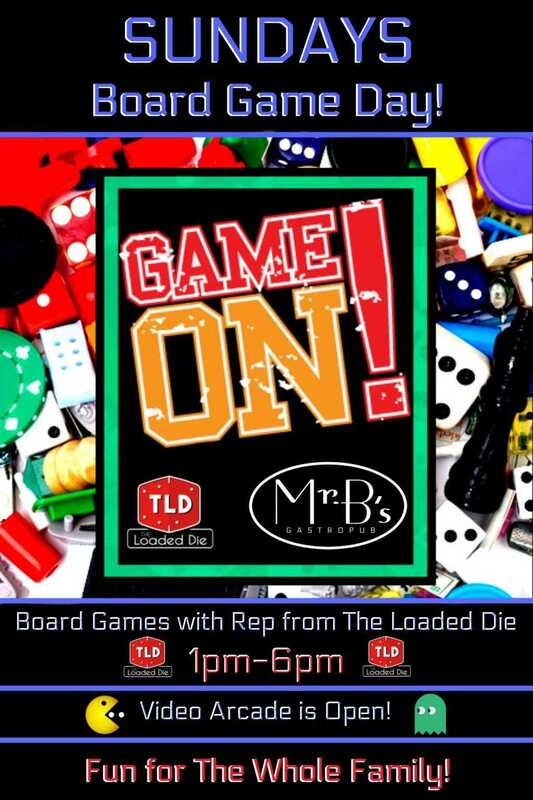 A rep from The Loaded Die is here every Sunday from 1pm-6pm to offer any desired instruction! Games available for all ages and abilities! We broadcast live on 97.9 WJLB! Tuesday night brings you Sporcle LIVE Trivia Night! 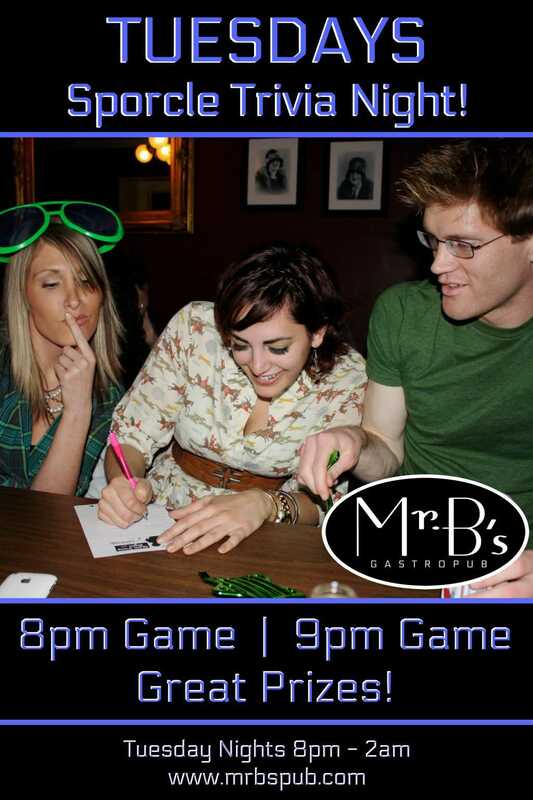 Get your team together and join us for two game starts - 8 PM & 9 PM, test your knowledge, play, laugh, and learn at Mr. B's! 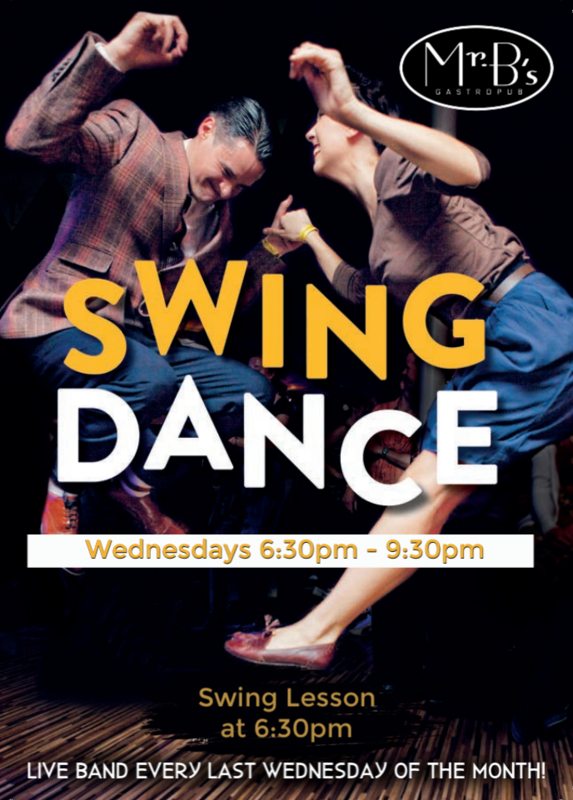 Swing Dancing begins with a lesson at 6:30pm with a fun friendly group! Come on in and learn some steps, then join in for dancing until 9:30pm! 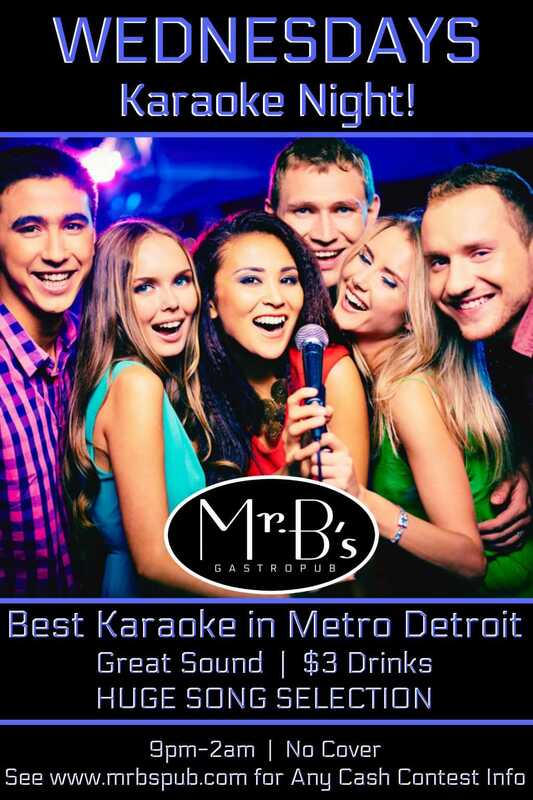 We have Metro Detroit's BEST KARAOKE every Wednesday night! Fun runs from 9:30-2! Come grab the mic or just sit back and enjoy some of the best singers in town! 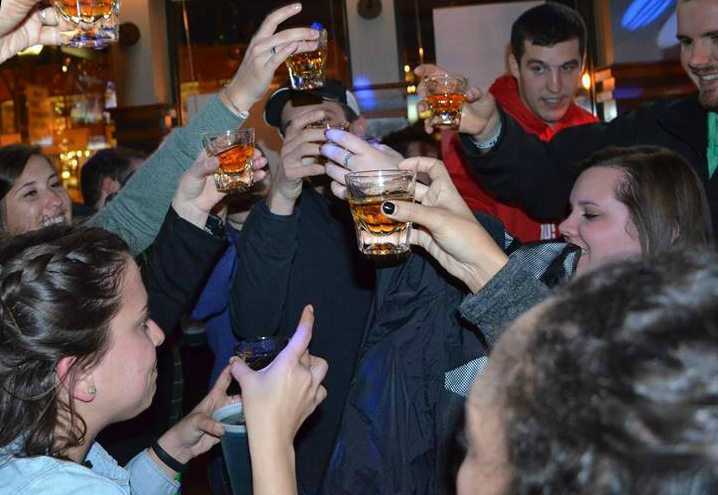 Late Night Happy Hour with $3 Drinks & $3 Shot Specials & $5 Specialty Drinks! Go back in time with Throwback Thursdays! 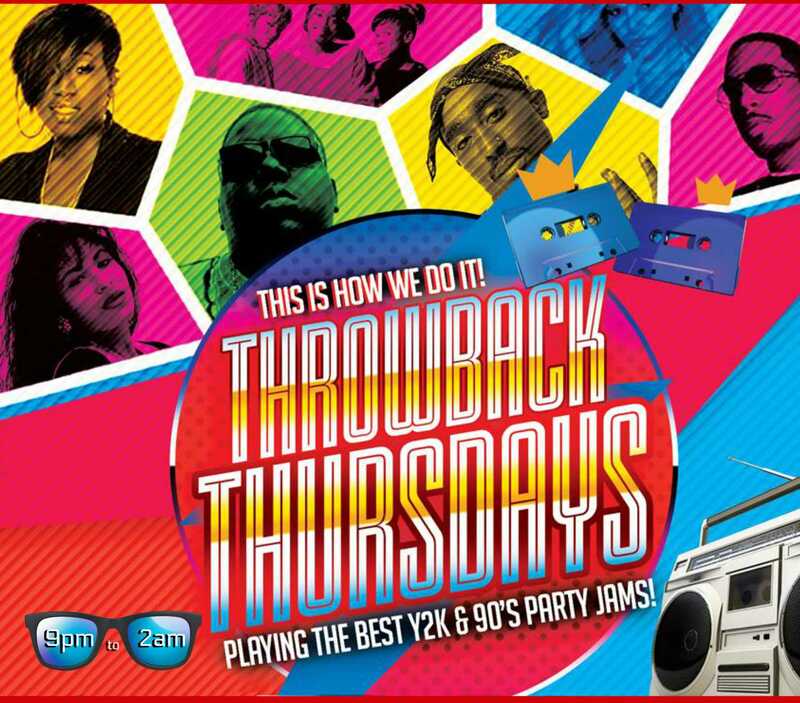 Come on out and jam to the best hits from the 90's and early 2000's! Here's to the Freakin Weekend! It's Finally Friday! 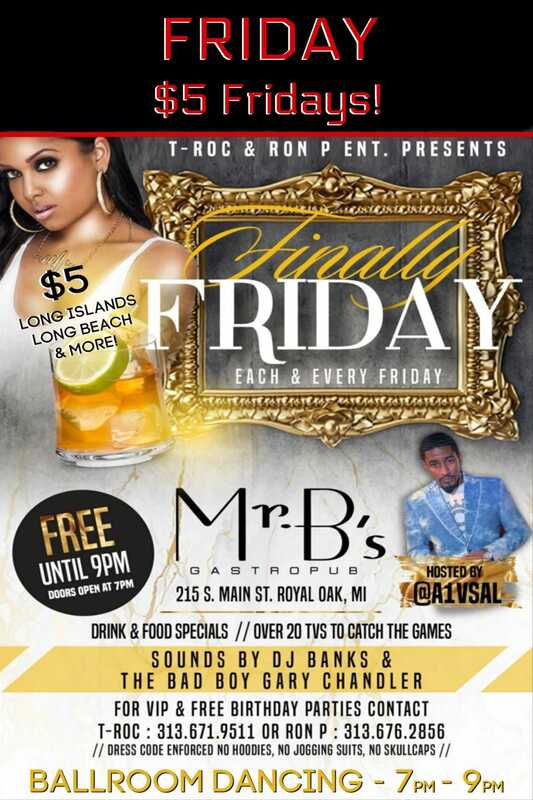 $5 Long Islands and more! 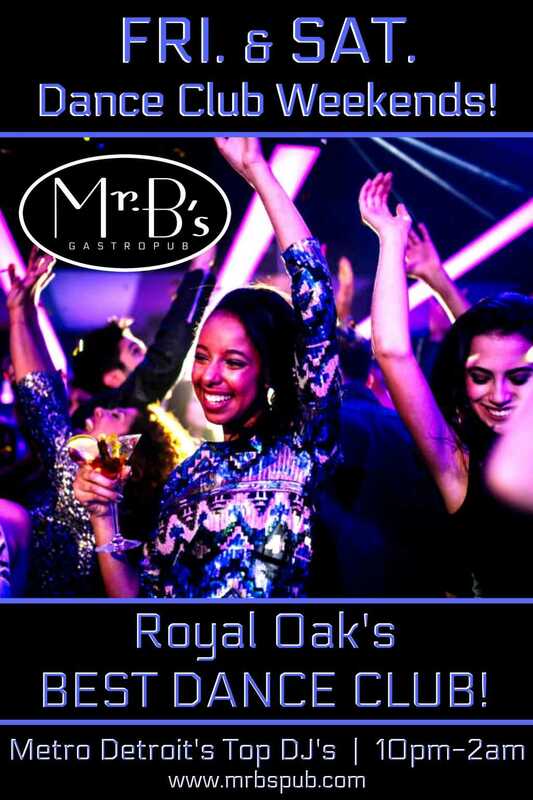 Royal Oak!!! Friday nights we get things started with Ballroom Dancing from 7-9 then DJ Bad Boy Joey Chandler takes over the party!